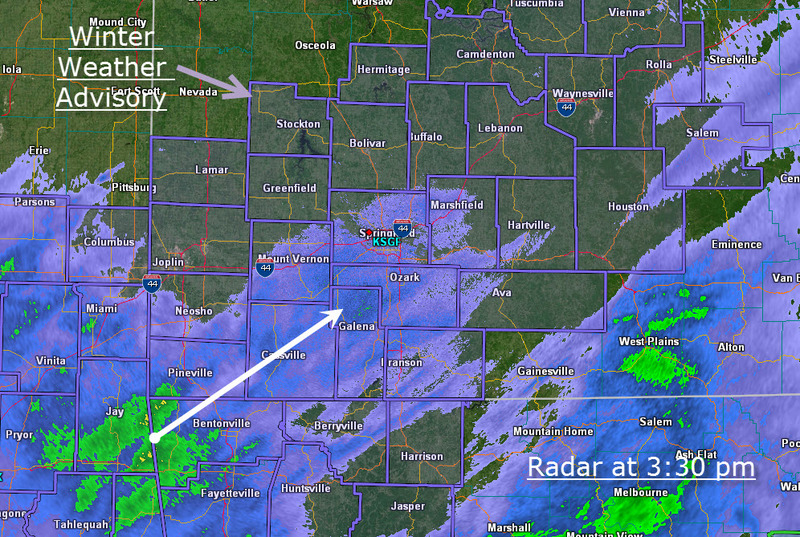 A band of rain is sliding up into the Ozarks late this afternoon. As temperatures begin to fall near the surface, the rain is expected to make a transition over to snow during the evening hours. 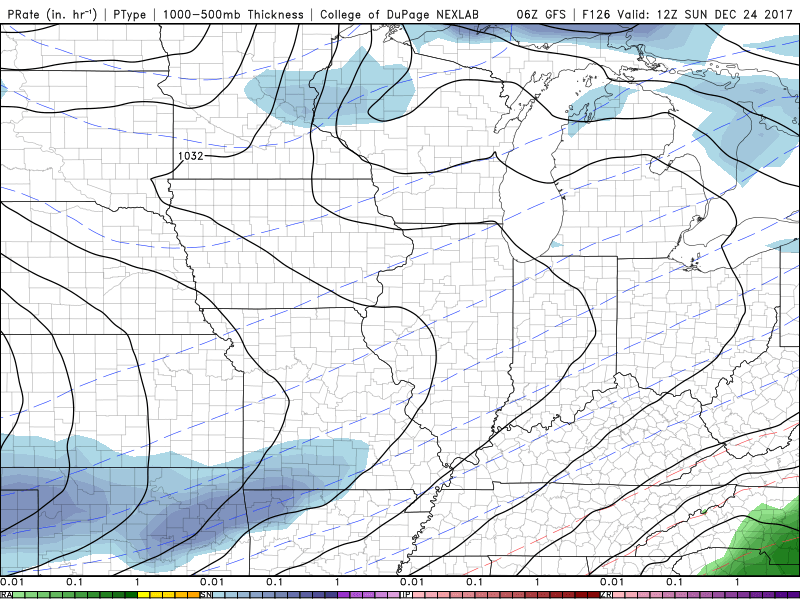 Accumulations will range between barely measurable to maybe as much as 2″. With a warm ground and temperatures above freezing, travel won’t be bad at first. By later tonight as temperatures drop below freezing, roads make become slick in spots. A Winter Weather Advisory is in effect for most of the area tonight. It’s a hot topic for something cold! Over the weekend, I hinted at the possibility of snow on Christmas Eve in the Ozarks. The chance for snow remains! The funny thing about longer range forecasting is one looks for the general ingredients first: cold air and a disturbance. Both of these continue to show up for Sunday but the details are still fuzzy. It looks like light snow, not a major winter storms which is really the best kind for all concerned in that it looks nice without causing a travel problem. Also, generally speaking, the last week of December and early January become more active meaning more precipitation chances and enough cold air to make winter precipitation a possibility.